Okay, your backpack is pretty awesome. It totally saved your laptop during the monsoon season, and even though it smells a bit like gym shoes right now, it has a perfectly-sized compartment for your favourite headphones. On the other hand, it doesn’t really match your new cap and windbreaker, or maybe you just can’t see yourself hiking in the mountains with a pink polka dot school bag. Backpacks are now trending, so your options are greater than you may think. Every girl should have at least two: a printed backpack that complements your casual wear, and an edgy backpack with studs for street-chic ensembles. Guys, buy a backpack specifically for camping; there are also other great options that can take you from class to the gym. How do I choose from among so many options, you ask? 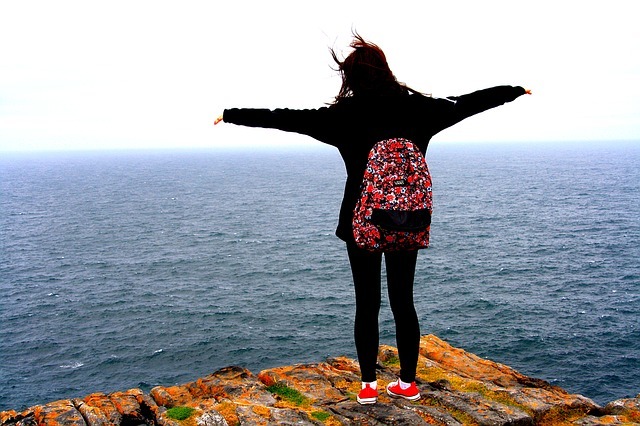 Read on to find out how to pick a backpack that suits your needs and style. A common misconception is that the size of a backpack should be chosen based on an individual’s height. However, the length of one’s torso is what should be measured before attempting to buy the super-functional accessory. Since backpacks rest against the back, they should fit the length of the torso rather than the height of a person. You can find yours by measuring the portion of your spine from the base of your neck (the spot where you’ll find a bony bump) to the top of your hips or the lower back. A backpack should fit this measurement for the most comfort. Here’s a quick look at the size standards manufacturers follow. Keep in mind that all backpacks allow for some adjustment. People with shorter or longer torsos may find it harder to find backpacks that fit. In this case, custom-made backpacks are an option. Pay special attention to the length of the backpack and the width of the straps. The straps shouldn’t dig into your shoulders; they should rest on your shoulders without slipping off easily. Aside from size, choosing a backpack correctly should also include examining its capacity. Here’s where the adage that goes ‘appearances can be deceiving’ actually applies. A backpack that looks small may in fact be surprisingly spacious and vice versa. Don’t go by the looks alone; instead, find out the actual capacity. For comparison, the average rucksack may be around 35 to 50 litres, while backpacks typically have a capacity of around 15 litres. Of course, this figure may be lower or higher, but it gives you an idea of how much weight a backpack can handle. Since backpacks are typically not designed to hold too much, unless otherwise specified, it’s wise not to overload them. Therefore, if you think you’ll need a backpack with more room, opt for a larger one rather than a small size (with a lower capacity). It’s likely to last a lot longer. Because backpacks are used to carry a variety of things, they (usually) boast a list of different features. Backpacks for school children tend to have one main compartment with three or four smaller ones. These additional pockets are designed to hold pencil boxes, water bottles, and other knickknacks. 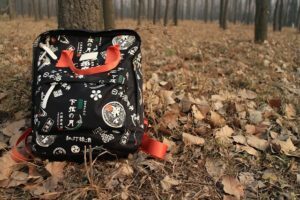 On the other hand, a college student will need a backpack that features even more compartments such as a laptop sleeve, and perhaps pen holders and slip pockets. 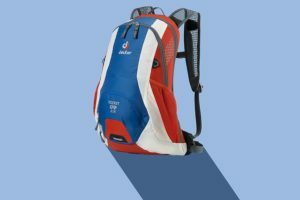 Meanwhile, someone who spends a lot of time outdoors will require a backpack that not only has a host of handy compartments but is built stronger too. Backpacks are normally used to hold a number of items, so it’s important that they offer adequate support whether you’re taking a leisurely stroll or rushing to get somewhere. Examine the shoulder straps; they should be properly padded to lessen the strain on your shoulders. Check the stitching as well as the strength of the clasps. Poorly made backpacks have loose or frayed threads and exposed fabric edges that can quickly unravel and cause premature wear and tear. Your best bet is to go for backpacks that are manufactured by well-known companies because they live up to higher standards. They also carry warranties that could come in handy. Not all backpacks are waterproof, and those designed for everyday use usually aren’t. While it’s not necessary to choose a waterproof backpack, you may want to consider it. If you intend to carry laptops or books, an ordinary backpack may not protect them against the rain. By investing a little more, you can get a waterproof variety that keeps your valuables safe. It’s likely to last longer too. Backpack designs vary greatly as these accessories are used for a number of purposes. Take a look at some of the more popular styles available. They’re designed specifically to hold laptops although they also contain room for other smaller essentials. They have a specially-made padded laptop sleeve and a clasp to keep it in place. So add one of these bags to your shopping list if you need to take your laptop to school, college, or anywhere else! Owing to the number of essentials schoolchildren need to carry, school backpacks are very roomy, with several different size compartments to hold everything from books and stationery to lunch boxes and water bottles. If you’re looking for one for your child, we recommend a backpack with straps that sit comfortably and a design featuring a rigid back. They can provide better support and may be more comfy to carry. We also love backpacks in peppy colours and eye-catching prints. 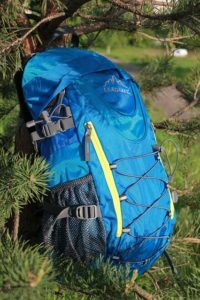 Similar to rucksacks, but smaller and usually with fewer features, hiking backpacks are durable enough to withstand the elements. Some are made to hold fewer essentials, while others have numerous compartments and features. 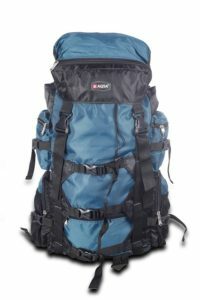 Daypacks, which are smaller, usually have no frames but possess hipbelts to keep them secure against the carrier’s back. Pick one of these if you’re going on a short hiking trip. Larger hiking backpacks come in two types: internal frame and external frame. With internal-frame backpacks, the support structure is located within the bag, while the backpack itself hugs the carrier’s body closely. As for external-frame backpacks, the frame is situated on the outside of the pack. Though they aren’t as flexible, they distribute weight more evenly. Both internal and external frame varieties are used for multi-day trips and expeditions. If you need such a backpack, determine which type will best suit your needs. Backpacks may be casual accessories but there’s no reason you can’t let them style office wear. Just choose an all-black or all-navy backpack to go with semi-formal pants, skirts, shirts, and slip-on shoes. Of course, if you want a backpack to jazz up everyday wear, the sky’s the limit. We love vibrant designs featuring graffiti-style graphics that guys and girls can easily pair with just about any day-to-day outfit. Old jeans and a T-shirt can be turned into a trendy ensemble with the help of an embellished backpack. If you’re ready to take on the great outdoors, a printed olive green hiking backpack, khaki cargoes, and a colour-blocked T-shirt will get you in the zone. Don’t forget to pep up workout gear too. There are trendy backpacks that can impart a lot of style to the minimalistic shorts-and-tank-top combo. Our favourites include sporty black backpacks with contrasting overlays and two-toned designs with colourful accents. A new backpack can be a good investment—if it matches your shoes, of course. Okay, so we’re a little biased. I’m sure we all agree that a good-quality backpack is important, especially if you bike a lot—or take many trips. So choose your backpack carefully, no matter what kind you need. And, of course, if you just can’t help yourself, try on the really expensive colour-blocked one that you’ve been avoiding. You’ll thank yourself later.